"We're Not #1 - You Are!" 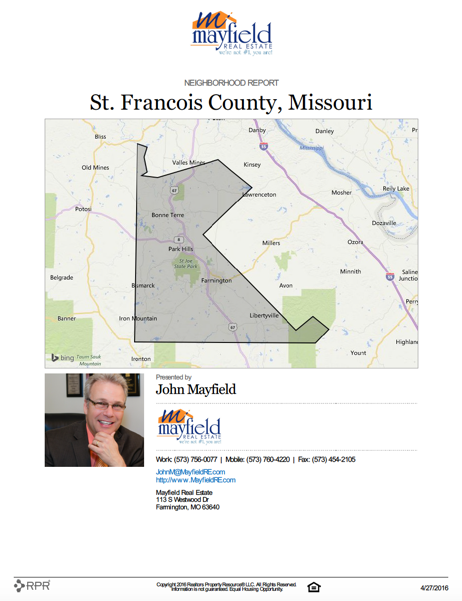 Click on the graphic below to discover the latest statistics about St. Francois County, Missouri. © 2019 Mayfield Real Estate Inc.